The ongoing saga of the confrontation between the Bangladesh government and its allies in the local media on the one hand, and Professor Yunus, the Grameen Bank and its 8.3 million borrower-owners on the other, has taken some surprising turns in the last 10 days. On April 20, representatives of Grameen Bank’s employee association held a well-attended press conference, covered by The Daily Star and other print and electronic media, where they presented the signatures of 20,103 colleagues who urged the government to either allow Prof. Yunus to remain as Managing Director or, failing that, to appoint him as Chairman of the Bank’s Board of Directors. This follows a similar effort by the borrower-owners of Grameen Bank, 3.7 million of whom signed hastily circulated petitions several weeks ago demanding that Prof. Yunus be allowed to remain as the bank’s chief executive. 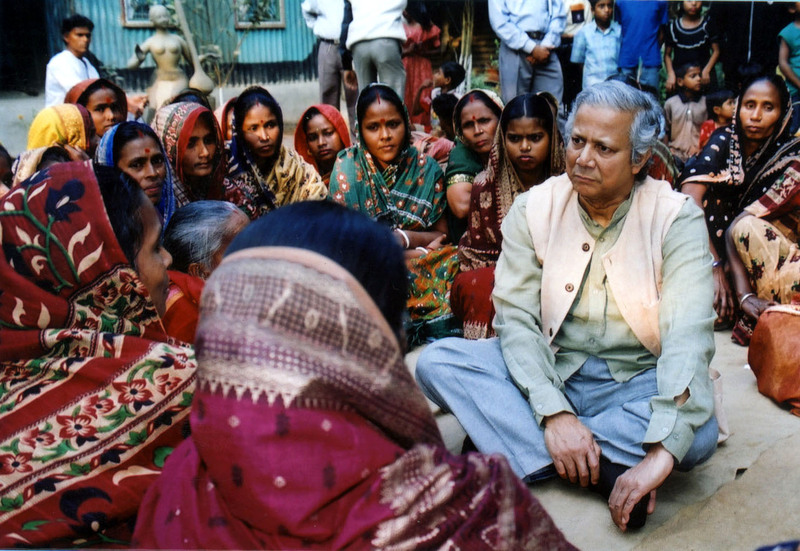 Professor Muhammad Yunus listens to some of Grameen Bank's borrower-owners at a local Center meeting. More recently, the so-called “Review Committee” appointed by the government to probe into the affairs of Grameen Bank and its sister organizations submitted its report – spanning more than 100 pages, according to some sources – to the Minister of Finance. While the report has not been officially released, portions of it have been leaked to government-aligned media outlets. Soon after receiving the report, the Finance Minister commented on it to the press. 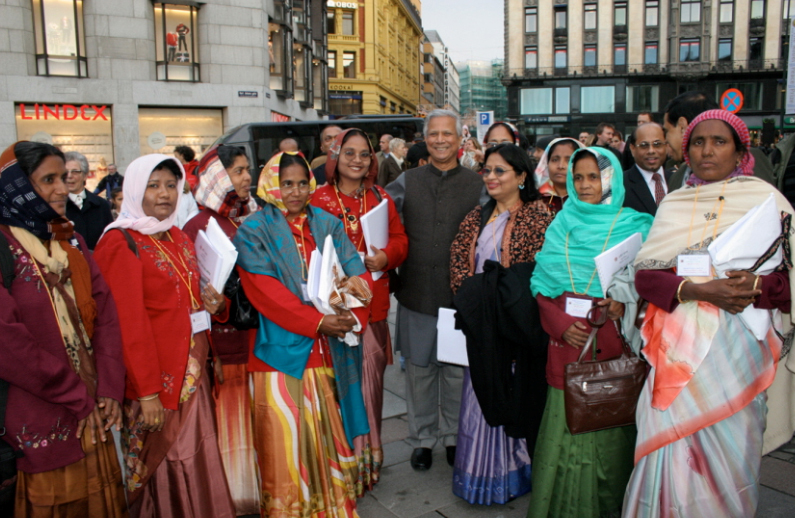 His two principal messages, as covered by the AFP wire service, were that there was no improper diversion of Norwegian aid funds in the 1990s, as had been reported in the media, and that Grameen not only did not charge “excessive” interest rates, but that it in fact charges the lowest rate of interest among microfinance organizations in the country. Neither of these “findings” were surprising to anyone who has been following this story closely and without bias, but it was noteworthy nonetheless that a government-sponsored commission publicly affirmed these facts. However, this did not stop hostile elements in the Bangladeshi media from seizing on the submission of the report to make new unfounded allegations against Professor Yunus. This has prompted Grameen Bank to issue a detailed “Response to the Various Issues Raised in the Review Committee Report as Reported in the Press“. With the government-appointed committee finding that two often-repeated criticisms of Grameen Bank had no merit, hopes are rising that around the time of an upcoming Supreme Court ruling (expected May 5), Bangladesh’s judiciary or perhaps the leadership of the ruling party will put forward some kind of plan that will respond to the desires of Grameen Bank’s employees, clients and nine elected Board members to ensure the continued involvement of Prof. Yunus. That would be welcome news and enable everyone to briefly celebrate and then get back to the work at hand – reducing the grinding poverty that remains the daily reality for millions of families in Bangladesh and around the world. Those interested in this issue might also want to listen to a special donor update that Alex conducted by conference call on March 23, 2011. In it, you’ll hear a brief summary by Alex of the situation, as well as an enlightening question-and-answer session where Alex gives his views on the causes of the government’s actions, possible scenarios going forward, what this means for the microfinance sector as a whole, and how changes at Grameen Bank could affect Grameen Foundation. Jessica Osborn is the Business Development Manager for Grameen Foundation’s MOTECH initiative. MOTECH (Mobile Technology for Community Health) is an initiative of Grameen Foundation, Ghana Health Service and Columbia University that uses mobile phone-based technology to improve the quality of pre- and post-natal care for Ghanaian women and their families. MOTECH has developed an information service called Mobile Midwife, which delivers time-specific voice or text messages to pregnant mothers and their partners and families, both before and after birth. We have also built a simple Java-based application that enables nurses in rural Ghanaian health facilities to automate much of their record keeping and reporting, which used to take 4-6 days per month of their time. This application also makes it easier for nurses to identify patients who have missed certain care. We recently sat down with some of the nurses who use our app. Here is what they told us. We really appreciate the cooperation we have received from the nurses of the Ghana Health Service in developing, testing and deploying MOTECH. The nurses provide critical healthcare services to remote communities, which is a challenging task. We’re happy to have the opportunity to make their work on behalf of Ghanaians a little easier. Of course, all this is made possible through the generous contributions of supporters like you – we couldn’t create, implement and expand poverty-fighting initiatives like this without you. 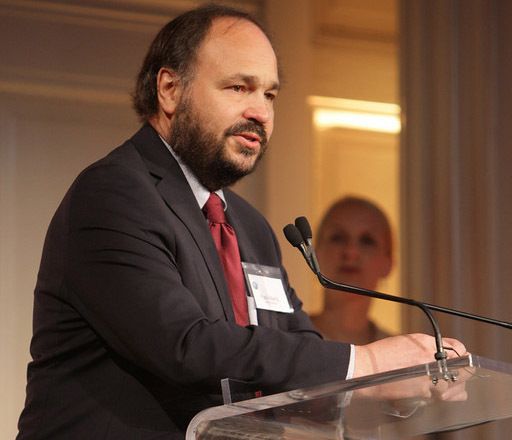 Jason Hahn is the Business Development Manager for ICT Innovation at the Grameen Foundation in Seattle. 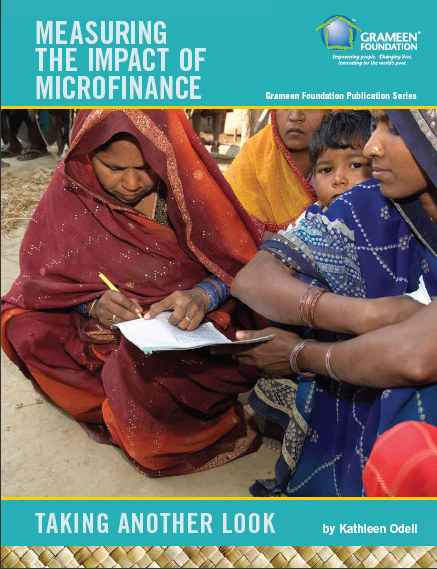 UPDATE: 04/06/2011 We just released a case study on using Grameen Foundation’s Progress out of Poverty Index™ (PPI™) with PT Ruma to help them ensure they reach their goal of working with the poor and poorest. 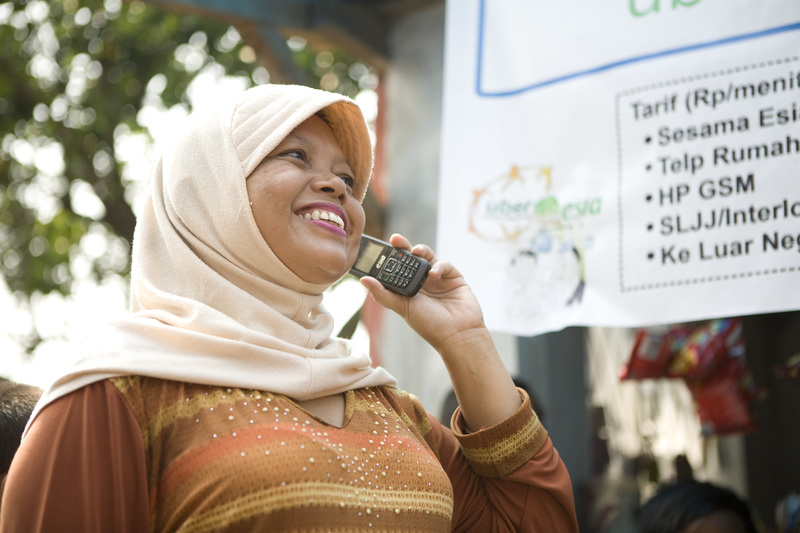 In addition to Grameen Foundation’s activities in Ghana and Uganda that – with the support of our donors – fight poverty through the power of the mobile phone, we are also very proud of the innovative work we do in Indonesia, in conjunction with our local partner, the social business PT Ruma. Working with Ruma, our AppLab Indonesia initiative has built a network of 6,400 predominately poor village-based entrepreneurs who sell mobile airtime and other telecommunications products to their neighbors (and boy, do they sell – as of February they had reached more than 560,000 customers) and increase their income while doing so. Of the entrepreneurs who remain in the program more than four months, about half double their income. Increasing income is a significant goal as AppLab Indonesia and Ruma have worked together to use Grameen Foundation’s Progress out of Poverty Index to recruit the poor and poorest as entrepreneurs. More than 60% of the entrepreneurs working with Ruma are poor (living on less than $2.50/day), while 10% are the poorest of the poor (living on less than $1.25/day). In a prior post, my colleague Heather Thorne emphasized the importance of partnerships to success in ICT4D projects. We’re very grateful for the generous financial and technical support provided by Qualcomm’s Wireless Reach™ initiative, without which it would have been very difficult to accomplish this work. In early April we will be breaking new ground with a series of mobile applications that will provide the poor, who may own a very simple mobile phone, with access to information they didn’t have before. Sorry to be purposefully vague but we need to keep some surprises for the unveiling! Watch this space for more information.